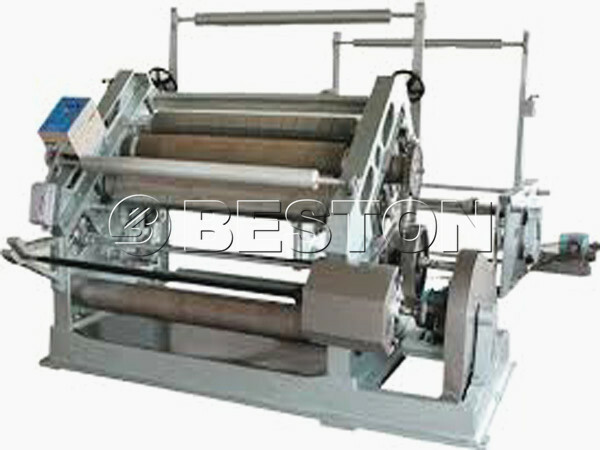 We Beston Machinery mainly focus on producing various of paper making machines. 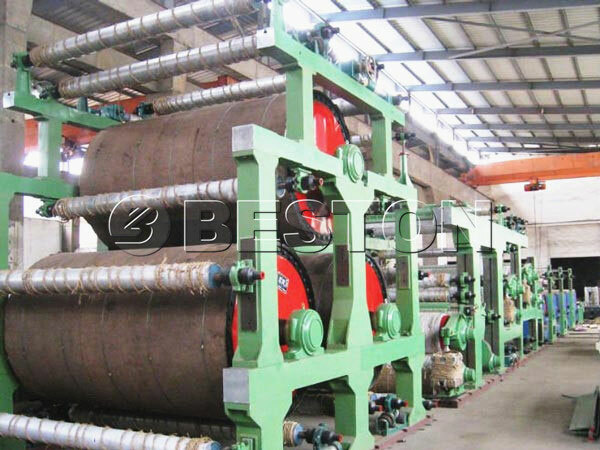 The corrugated paper machine, one type of the paper machines, is used to make corrugated paper. 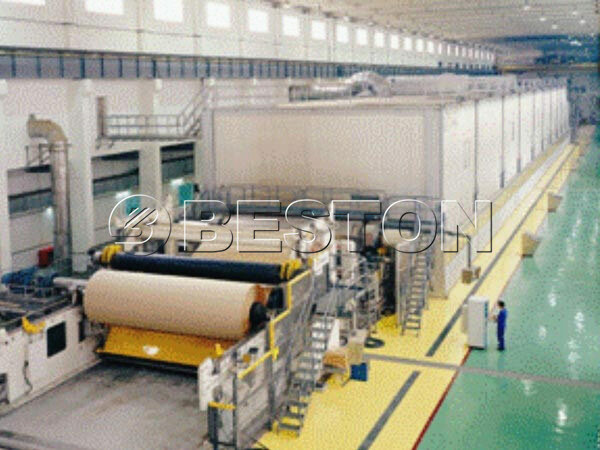 Due to high quality, competitive price and advanced technology, the corrugated paper machines manufactured by We Beston machinery are sold very well on the market all over the world. The main type of our machine: BT-787, BT-1200, BT-1092, BT-1800, BT-2640 and BT-2800, etc. 3. Various output capacity and configuration can be customized based on different needs of customers. 4. Stainless steel material, long service life time, easy maintenance. The corrugated paper has many advantages: low cost, light weight, easy processing, easy storage and transport and so on. The corrugated paper can be made into corrugated box. The corrugated box is the widely used packing product. Because of superior performance and easy processing, it replace the wooden box gradually. And corrugated paper becomes the main force for conveying package. Apart from protecting commodities, corrugated box can also prettify and broadcast the commodities. Meanwhile, corrugated paper belongs to environmental friendly products. It can be recycled to make new paper products. Therefore, it is popular with many people. People have a large quantity demand for corrugated paper box. Making a large amount of corrugate paper is necessary for the market. 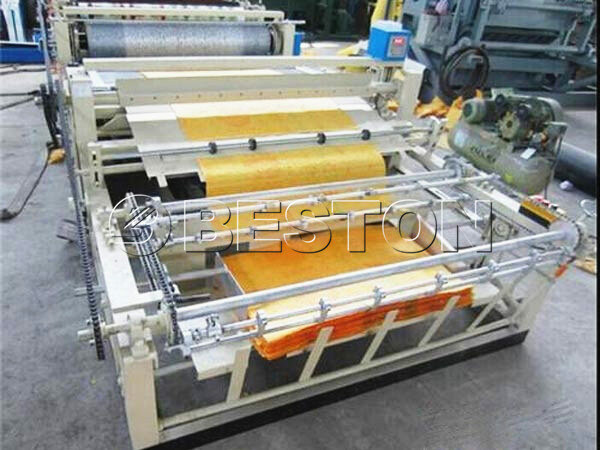 So, investing corrugated paper making machine and kraft paper making machine are a wise choice. If you are considering this investment project, don’t hesitant to start this business. When you prepare to buy corrugated carton making machine or tissue machine for sale, contact us. 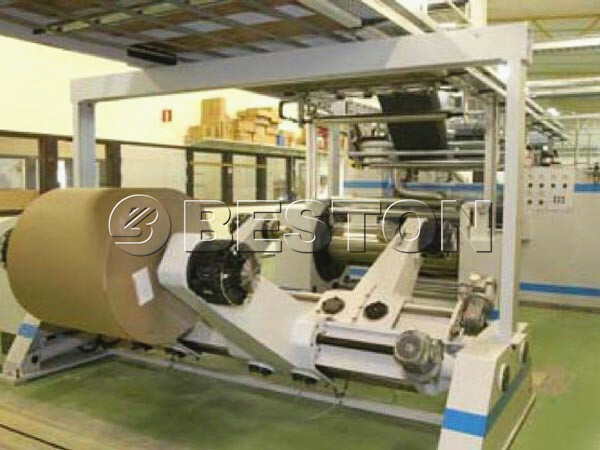 As one of the professional corrugated paper machine manufacturers, we Beston Machinery can give you some help. According to your budget cost, output demand and floor space, we can help you to choose the appropriate machine. Meanwhile, in order to make you know the production process clearly, we can provide you the production video. After buying our machine, we can arrange our engineer to help you to install the machine, if you need. 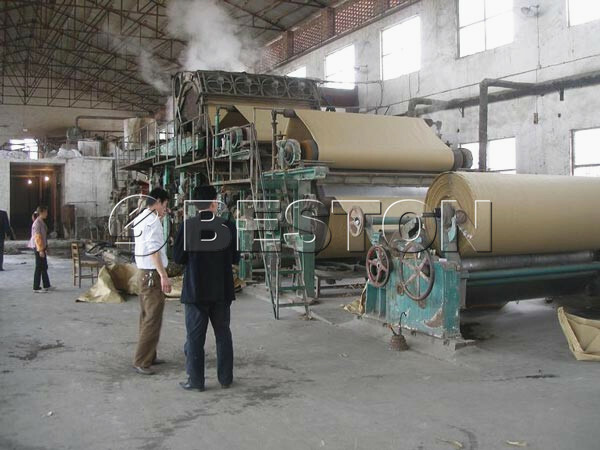 Many customers would like to buy corrugated carton paper machine from our factory. 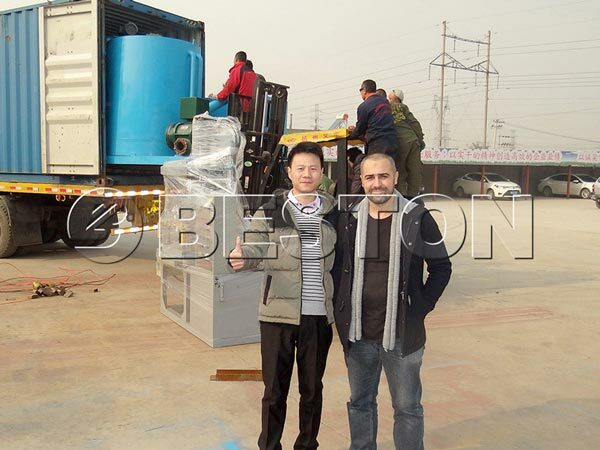 Meanwhile, A4 paper making machine and exercise book making machine are also exported to many countries, such as Algeria, Egypt, Russia, Ukraine, Australia, Argentina, Brazil, Saudi Arabia, Libya, Syria, etc. If you need corrugated carton making machinery, contact us now!